You should be able to get your whole organiser built in less than 10 minutes. For best finish you will want a sharp knife for trimming sprues and possibly a stationery glue stick like Pritt Stick or similar. Most of your orgsaniser will slot together without glue. You could do with a sharpish knife just to cut the items out of the main sheet. They will twist off, but can leave a little tuft of MDF which is more difficult to trim off later. Other than that, you shouldn’t need anything else. I hate dealing with wood glue, one of the things for me was to to make sure that a simple glue stick will be fine for fitting everything together. There is no weight to any pieces that need gluing. If you are assembling one of our big card trays which will carry a lot of weight (e.g, those used in the Legendary organiser) then note these are built to stay in the box. If you do you want to lift them out then you will need to use a proper wood glue on all the tabs before securing it. If you don't glue the heavy duty trays well then the bottom will drop out when you pick it up! 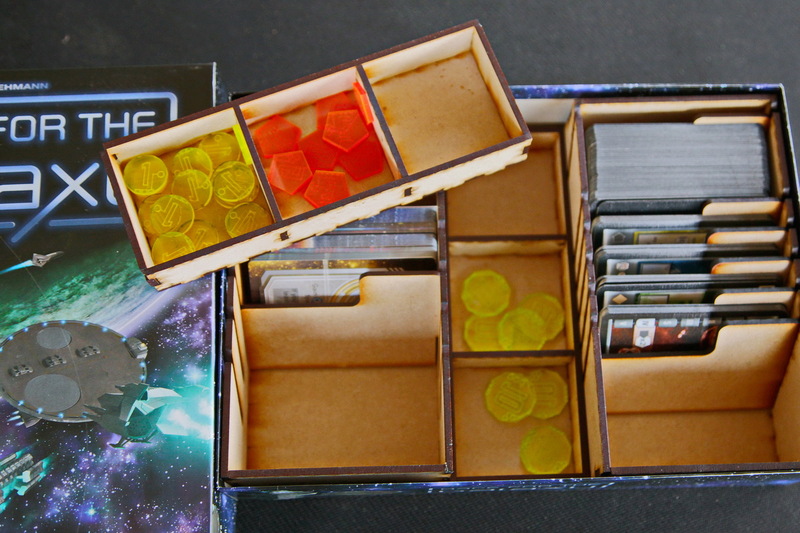 In the card trays card dividers can be slotted in and out and moved around as you see fit. If you have any questions or need any help, then please give me a shout - I am always happy to help.